This was taken by Art Geen 25Apr1939, the date of the christening of the California Clipper at Treasure Island. Note banners and flags etc. NC18601 and 602 were delivered to Treasure Island in March 1939. 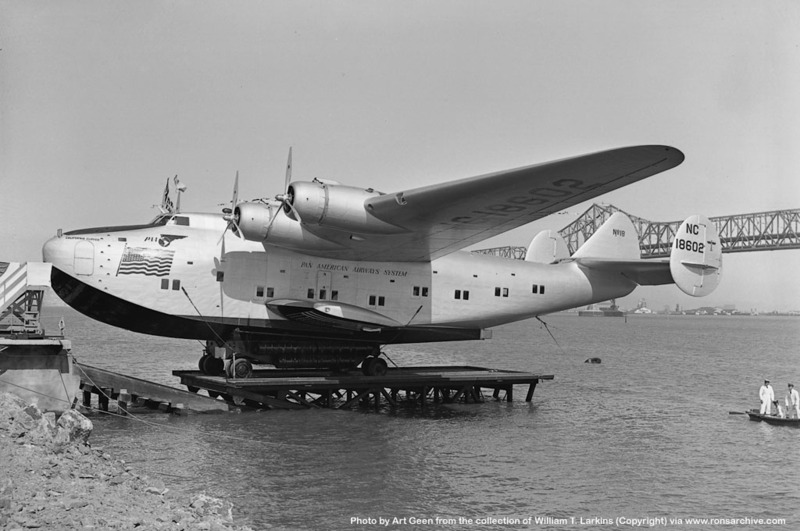 Note the platform supporting the flying boat can be used to lower it into the water or to raise it to be level with the concrete ramp. Boeing 314 Clipper NC18602. From the collection of William T. Larkins (Copyright).